Enhanced by the magic of Castaspella, Beatrice gained the ability to fly through the air like a bee. 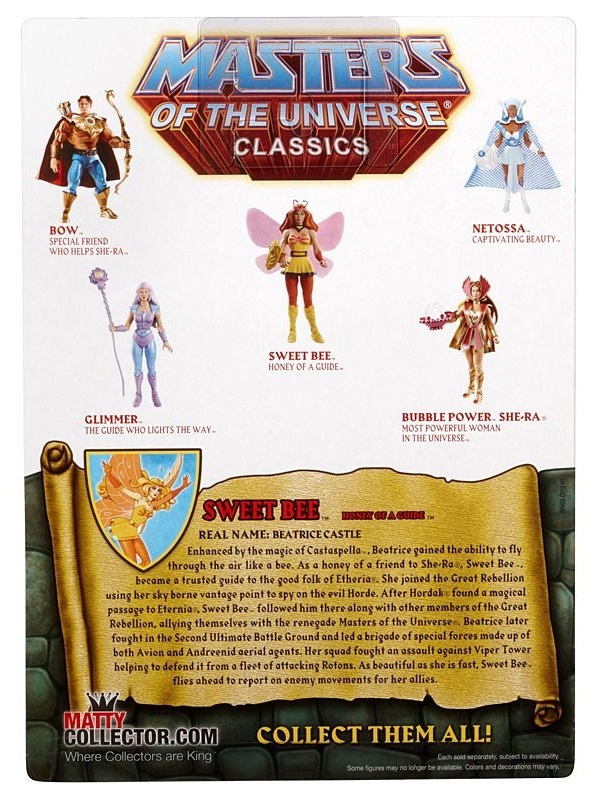 As a honey of a friend to She-Ra, Sweet Bee became a trusted guide to the good folks of Etheria. She joined the Great Rebellion using her sky borne vantage point to spy on the evil Horde. 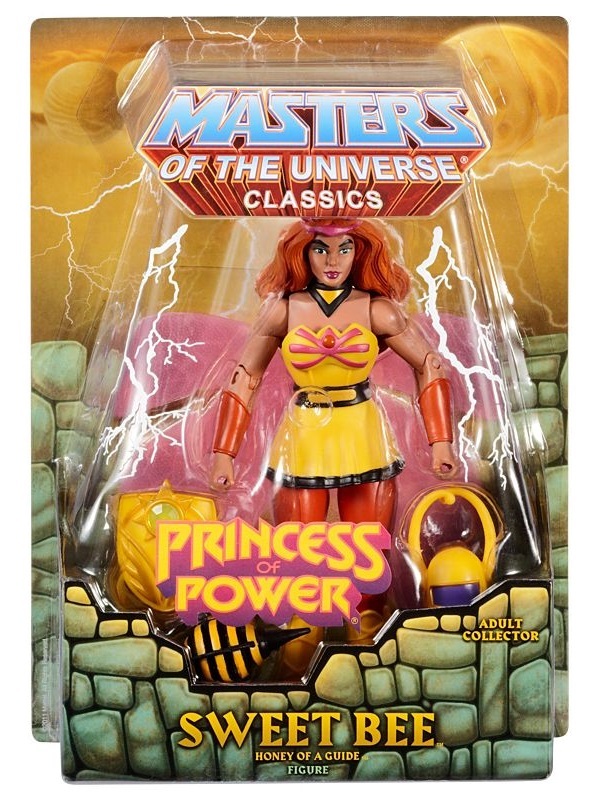 After Hardak found a magical passage to Eternia, Sweet Bee followed him there along with other members of the Great Rebellion, allying themselves with the renegade Masters of the Universe. Beatrice later fought in the Second Ultimate Battle Ground and led a brigade of special forces made up of both Avian and Andreenid aerial agents. Her squad fought an assault against Viper Tower helping to defend it from a fleet of attacking Rotons. 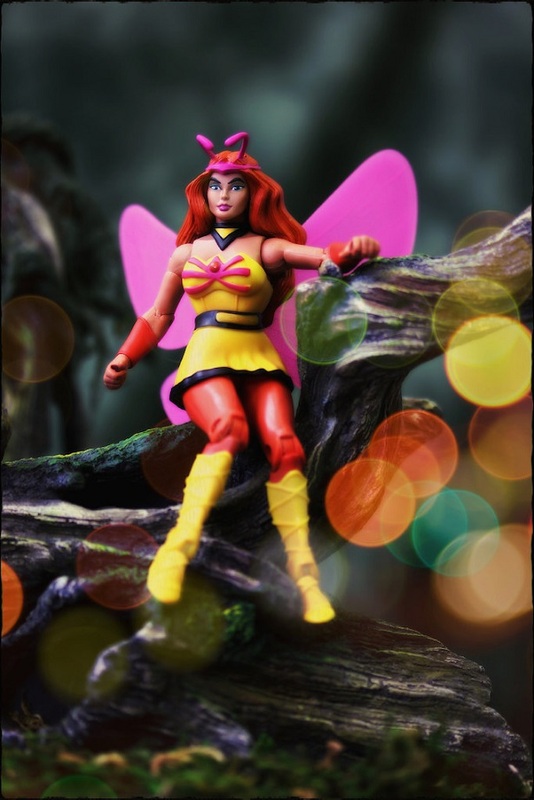 As beautiful as she is fast, Sweet Bee flies ahead to report on enemy movements for her allies.